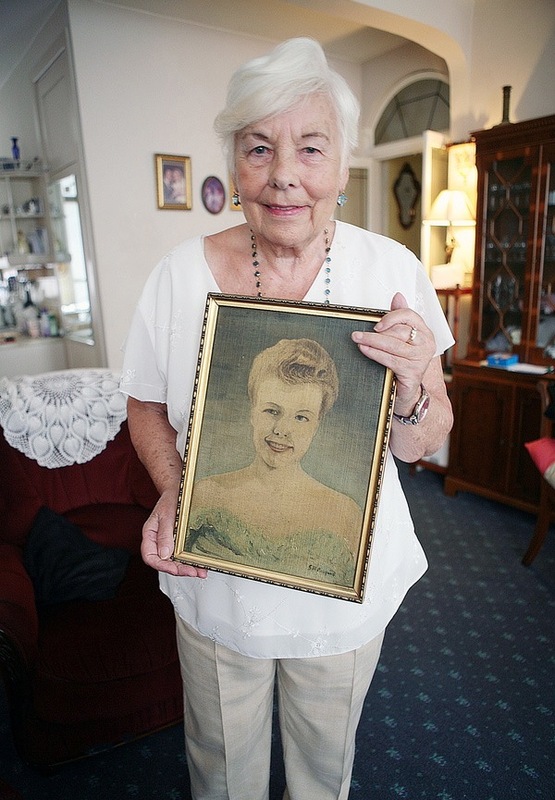 This is Olive Besagni at eighty-five displaying a portrait of herself at nineteen. I think I can detect a hint of swagger in her eye, but let us grant Olive this indulgence because she has embraced existence with such exuberance and good humour over all these years that it is her right to a little chutzpah. 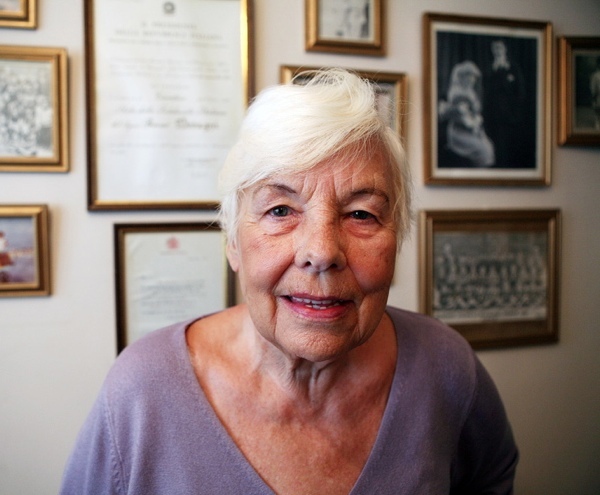 Olive is standing in her flat in Myddleton Sq in Finsbury where she has lived since 1956, just half a mile North of Clerkwenwell where her grandfather Giovanni Ferrari arrived from Borgotaro in 1880 to teach English to the Italian immigrants. Giovanni was a clever young man who loved to teach, and since most of the Italians needed to learn English if they were to advance, he became a very popular figure, known as Maestro Ferrari. 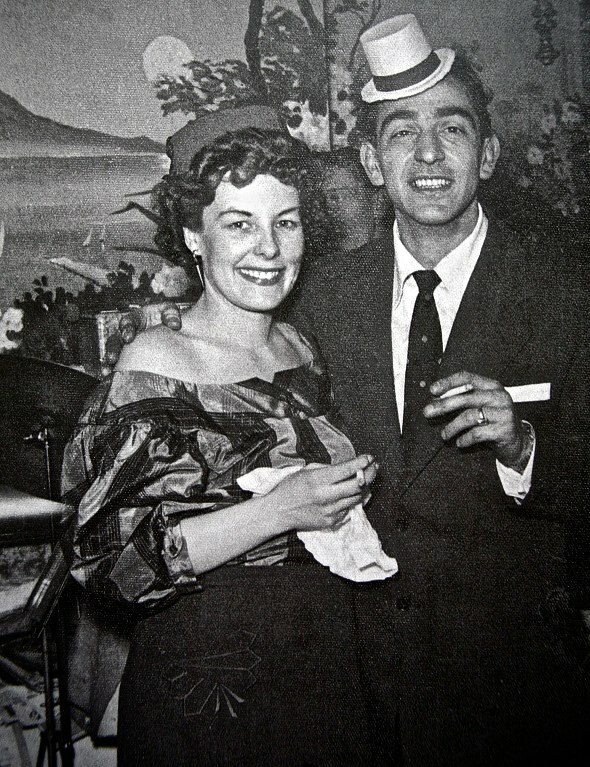 Giovanni’s eldest son Guiseppe (known as Joe) married Netta Oxley, an Englishwoman, and they moved to Gospel Oak where Olive was born in 1925. Then, when Olive was eleven they moved to Hampstead and at fourteen, upon the outbreak of war, she was evacuated to Rutland where she delighted to write sketches for performances in the village hall. 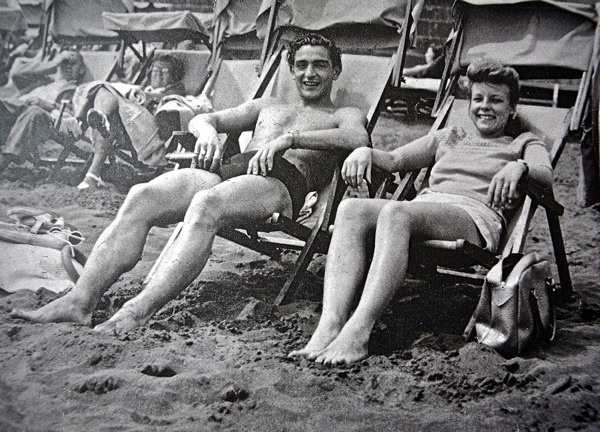 Consequently, Olive grew up knowing little of the crowded Italian slum centred around Back Hill in Clerkenwell, that was the focus of the Italian community in London. When I finished school, my parents wanted me to go to work in an office but I preferred to spend my time at Parliament Hill Lido and so I went for a few interviews that I messed up purposely. Finally, my father got a letter from a friend who ran a factory making religious statues, saying “Do either of your sons want a job?” It was in Great Sutton St in Clerkenwell and I went to work there, painting the lace and the gold lines onto the statues. Since I grew up in the suburbs, this was the first time I saw Italians in the raw but, once they discovered I was Maestro Ferrari’s granddaughter, they were very kind to me. And amongst the younger men was a sixteen year old boy called Bruno Besagni who worked as an artistic sprayer. But I got bored with it there, and I found a job as a trainee negative cutter at a small documentary company in Dean St called Realist Films. They made mostly black and white films for medical students with close-ups of operations. I was only eighteen and there was a film of triplets being born, in colour, that I found especially traumatising, even more so than people having their legs removed. Yet I became an assistant film editor eventually, and from there I went to the best job I ever had – at Pathé Films in Wardour St. I worked for Alexander Wilson Gardner making short pieces of film that could be inserted into news reports. We made a sequence about Christian Dior’s “New Look.” They had a model to wear the short hem and I had to appear as the legs of the woman in a long skirt. While I was there we discovered all these old reels, from the nineteen twenties and earlier, in the basement. We had to sort them out and I remember finding the film of Churchill dodging the bullets at the Battle of Sidney St. It was quite something, all these old cans of film, and it was exciting because it was all new to me. I loved it, I absolutely loved it, but when I married Bruno Besagni and had two children, I was at home for five years as a housewife and mum. Then Alexander Milner Gardner rang me up and said “Do you want a job?” So I said, “I’ll ask my mum,” and she came and stayed with my children each day, and I went back to work. But very shortly, Alexander Milner Gardner died and my mother decided to go to America to see her other daughters, and I had to leave again. I pottered about doing freelance work. Commercials started then and I edited Butlins’ first adverts. But I resented leaving Pathé and I never became an editor because you had to do six years as an assistant editor before you could qualify. I did all sorts of bits and pieces until I got a job in the Media Resources department at Kingsway College in Sans Walk, Clerkenwell. I had to work this horrible dirty old printing machine, and the boss didn’t like me because he thought I wasn’t young and he wanted a glamorous girl – but I didn’t mind because I have a sense of humour. I said, “I write plays, I can be a bit of a nuisance sometimes.” And he said, “Never mind, do it here!” So I wrote my plays there and they printed them for me and life was a ball. I love razzmatazz and I used to write stuff for my friends, old time music hall etc, to entertain the old people at my church. Then one of the youngsters said, “Can’t we do a proper play?” So I said, “I can write something about the Second World War – if I don’t know anything about anything, I know about that.” I wrote a play, “Blitz & Peaces” with a cast of thirty and I produced, directed and acted in it. It was easy for me, and it was so successful, it was full every night. After that, I was offered the theatre at the St Luke’s Conference Centre in Central St. And I wrote and directed shows, one each year, for twenty years – I had this lovely theatre, some very talented actors and we played to two hundred people a night. These plays, that Olive wrote and directed, dramatised aspects of the experiences of the Italian people in Clerkenwell and were in effect a collective history, performed by descendants of immigrants in front of an audience of their community. Yet in spite of the accomplishment and popular emotional import of these epic dramatic works that occupied Olive for twenty years, the culmination of her talents was yet to come. This year Olive Besagni published A Better Life, a collection of oral histories telling the story of Italian families in Clerkenwell going back over generations into the nineteenth century. In this authoritative book, Olive tells the story of an entire society, allowing people to speak for themselves yet supplying pertinent historical material to give background to the testimonies. With her experience as an editor and her trained ear as a playwright, Olive was the ideal person to make a record of her people. The only shortcoming – if it may be called that – is that Olive modestly includes very little of her own story, which is why I have endeavoured to tell it here. 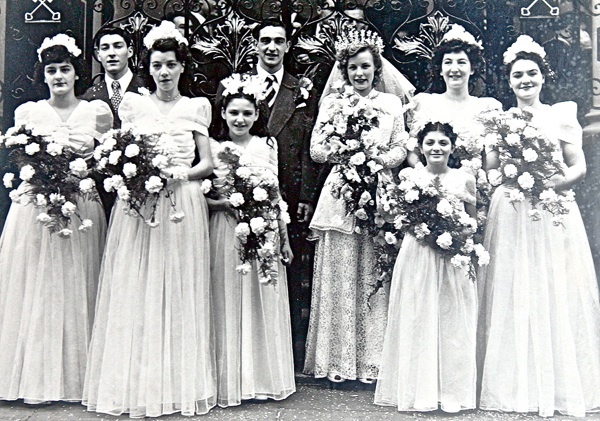 Wedding at St Peter’s, the Italian church, in Clerkenwell, July 1948. 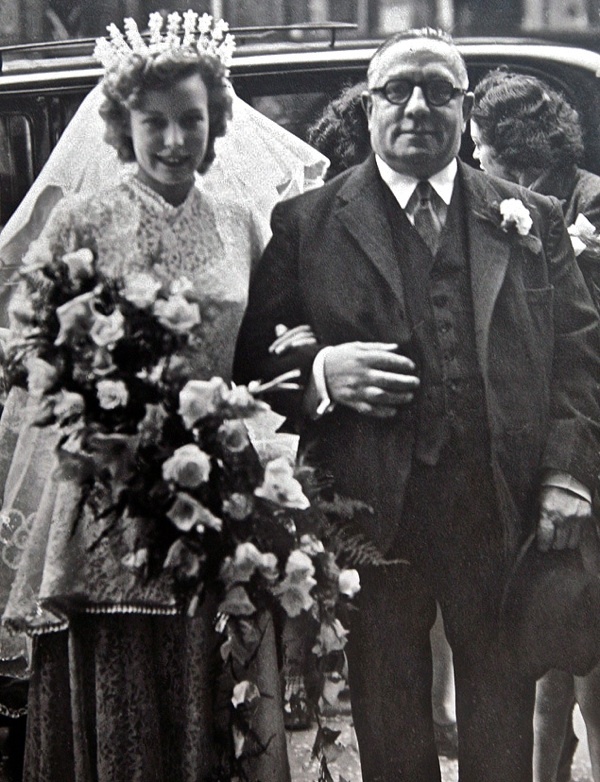 Olive arrives at the church with her father Guiseppe Ferrari (known as Joe). 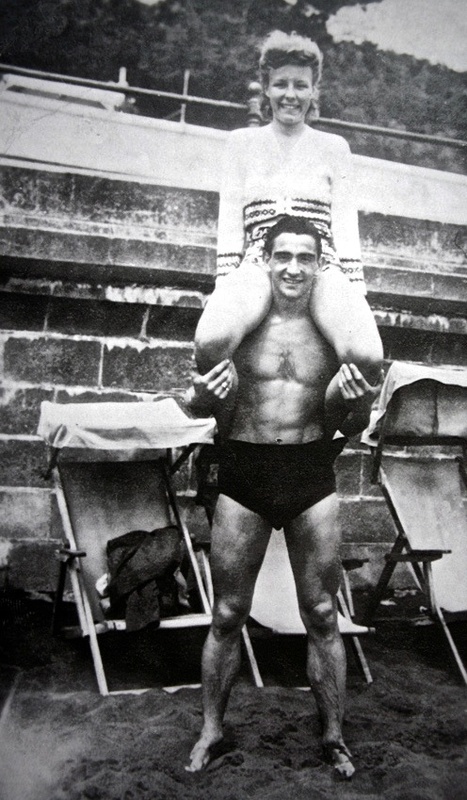 Olive & Bruno on their honeymoon, 1948. 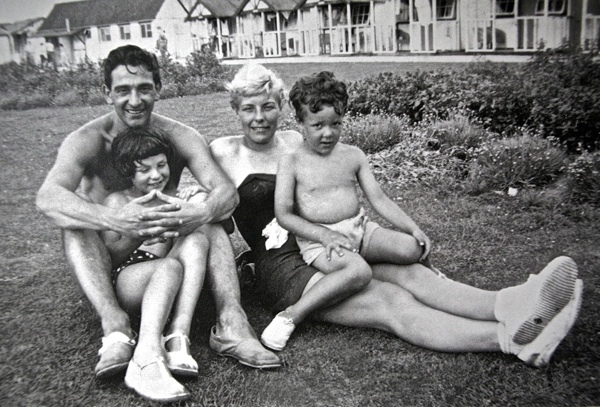 Olive & Bruno with their children Anita & Tony at Brambles Chine on the Isle of Wight. 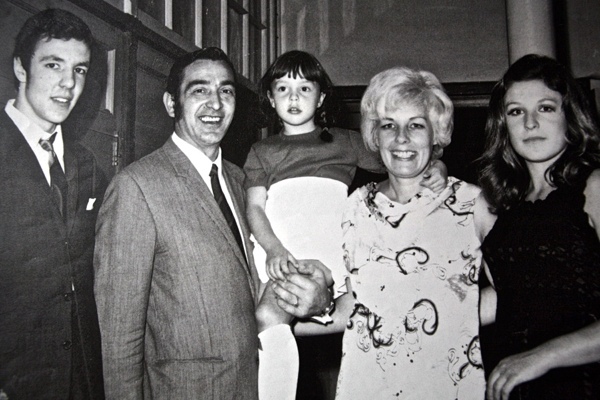 Olive & Bruno with their children, Anita, Tony & Nicolette. 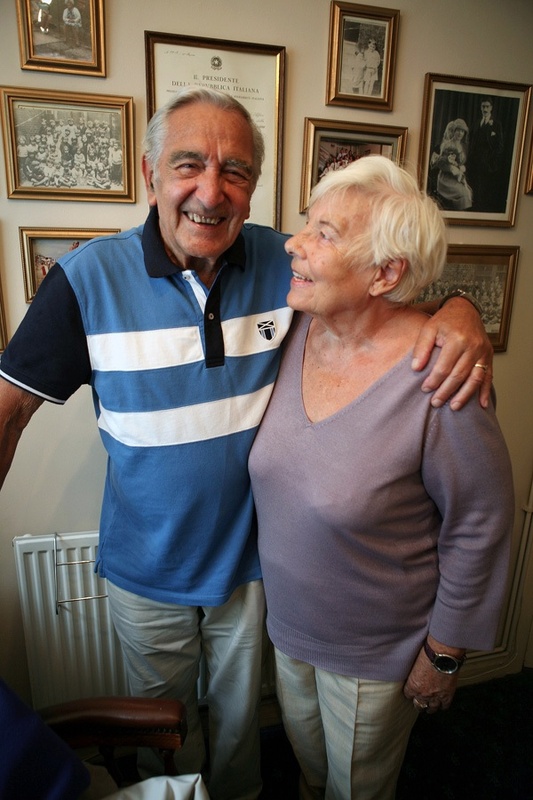 Bruno and Olive celebrated their sixty-third wedding anniversary this week. love the enormous bridal bouquet, the crown, the so many good things have happened to me. congratulations on so very many wedding anniversaries and so much happiness! I plan to purchase a copy of your book asap. Amazing coincidence. My parents were Joe and Netta! He was Giuseppe Zanelli and my mother was Netta (Annetta) Ruffini. Would very much like to meet you. Do please email me. I walked in most of the processions myself as did all my family. My cousins the Malongonie’ s ran the Cafe in Leather Lane Emmy & Lally. I have a professional film of the procession in1948 ( I think) commisioned by my father and filmed by Pathe. Hi Olive, I am Beverly Milford’s cousin. 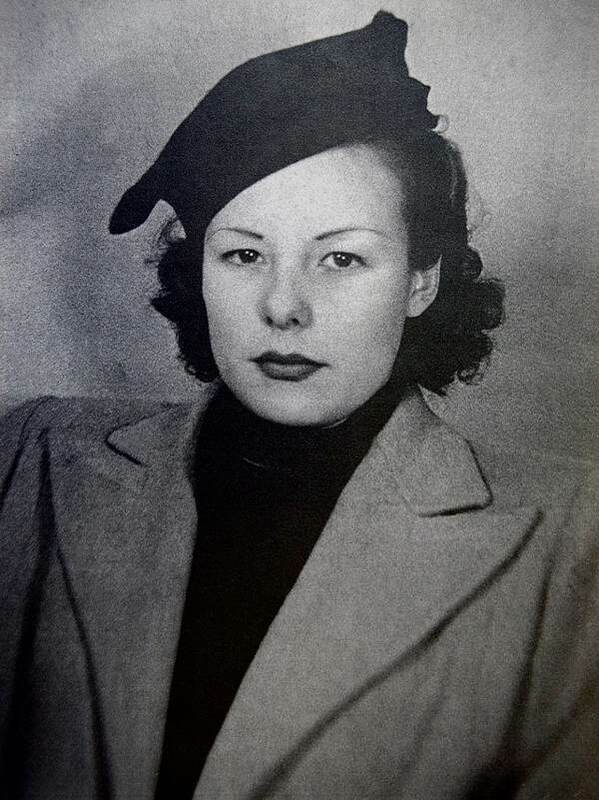 I am the youngest daughter of Gloria Maley, Stella’s sister. I don’t remember you as was only a baby when we lived in the square, but my sisters remember you, they are Lindsey and Toni Willis. I would love to chat to you as Toni’s daughter is getting married in Italy next year and I would love to visit the place where my great grandad (your grandad) Giovani Ferrari came from. Lovely story, will definitely be reading your book. Gorgeous – what beautiful piece celebrating such a fascinating life. Great book and plays over the years Olive. You have passed to our generation stories of old which we would otherwise have never known about. Cara Olive, il tuo libro è bellissimo! Io vivo in Italia e l’ho scoperto a casa di mia figlia Alessia in Brixton. Lei vive da 8 anni in London ed ha conseguito la cittadinanza britannica recentemente. Ama London e scoprire le storie delle prime famiglie italiane a partire da metà ’800 è veramente entusiasmante. Alessia è appassionata di commedie musicali e leggo che hai sciritto anche in questo campo. Dal calendario leggo che la Madonna del Carmelo sarà martedì 16 luglio: la Processione quando avverrà? Domenica 14 Luglio oppure domenica 21 luglio? Ti ringrazio per l’attenzione e spero che Alessia possa incontrarti in un pubblico evento. I have the book a Better Life it contains my family Terroni and Avella I was married in St Peters. Thank you so much for sharing this. Having lived in this area from 1949 when born until moving away in 1992. My husband and I had a shop In Amwell Street directly opposite St Marks church in Myddleton Square Olive would pop in shop and have a chat such a lovely warm lady. We went to some of her plays which were about life as it was. On a Sunday morning I would often see Olive and other ladies walking up after a service at St Peter and Paul’s church . Can honestly say she was a lovely remarkable lady who had such a good sense of humour.